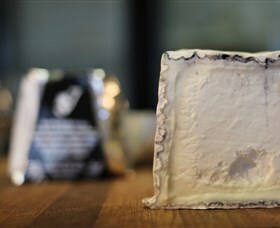 On the doorstep of the Blue Mountains you will find Jannei Artisan Cheese Makers. Coined by some as a 'hidden gem', this multi-award winning boutique cheese factory is known for its fresh and white mould goat's cheese. A visit to the cellar door will give you a unique, slow food farm experience. See how the dairy works, taste the wide variety of hand made cheese, and enjoy a quality and flavour that is hard to find elsewhere. Jannei's unique cheese is available for purchase during your weekend stay in the local area. Visit the Jannei web site for cheese tasting notes, operating hours, and directions.